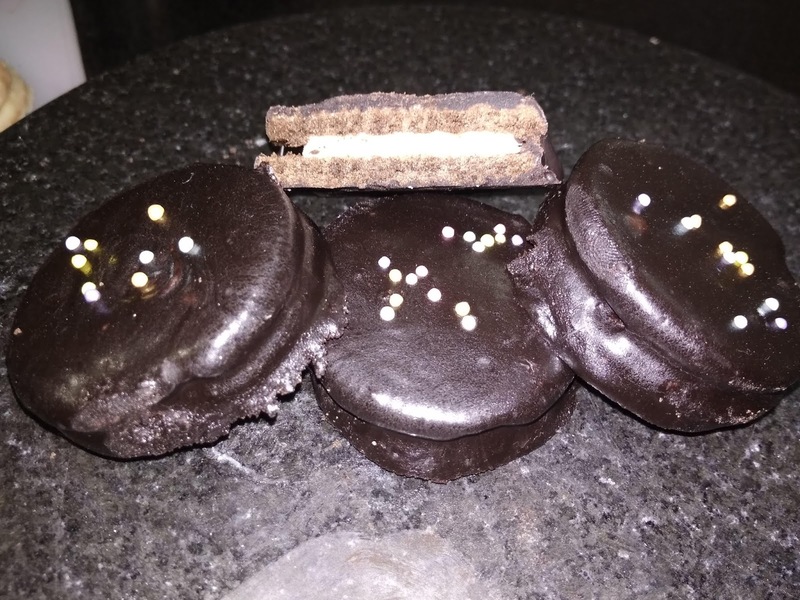 Recipe by Naiya Sheth: Again this is a special treat for all oreo lovers at home. 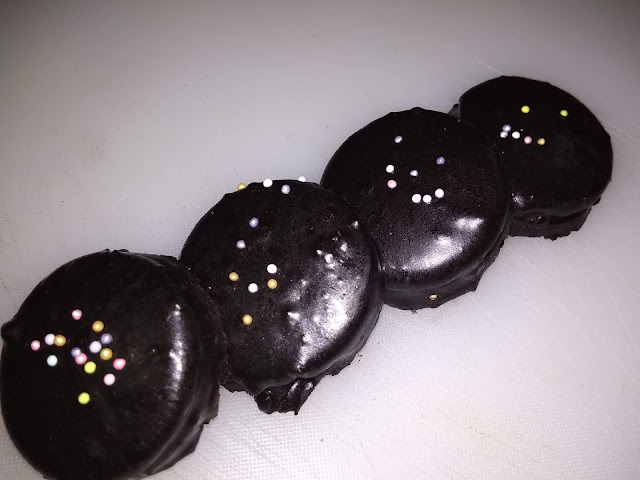 In this homemade recipe, our all-time favorite oreo cookie is dipped in a yummy chocolaty chocolate truffle. In this mouthwatering recipe, you will find a smooth and crunchy feeling at the same time. 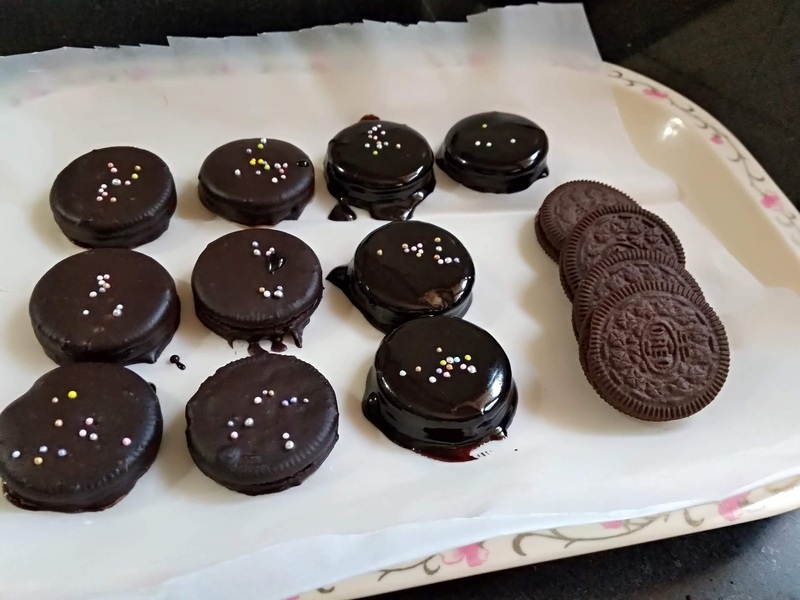 So let's try to make this quick, easy and chocolaty recipe of Oreo - Dipped cookies at Home. In a microwave-safe bowl mix dark chocolate and cream. Cook until chocolate melts properly. It may take 1 to 1 1/2 minutes hardly. 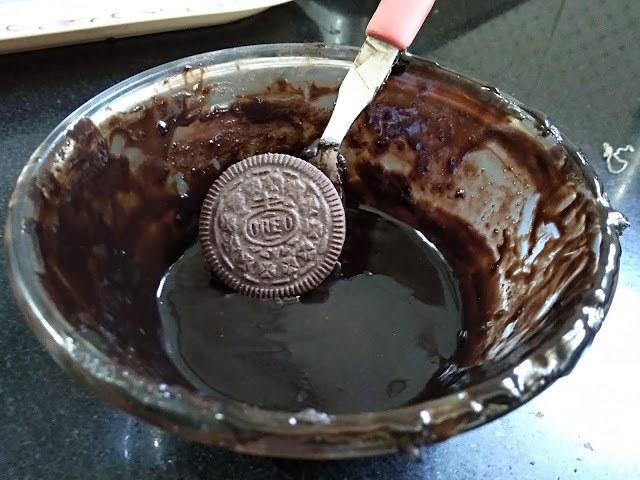 Take an Oreo and dip it in the above mixture with the help of a fork. Drain excess chocolate mixture and then place it carefully on butter paper. 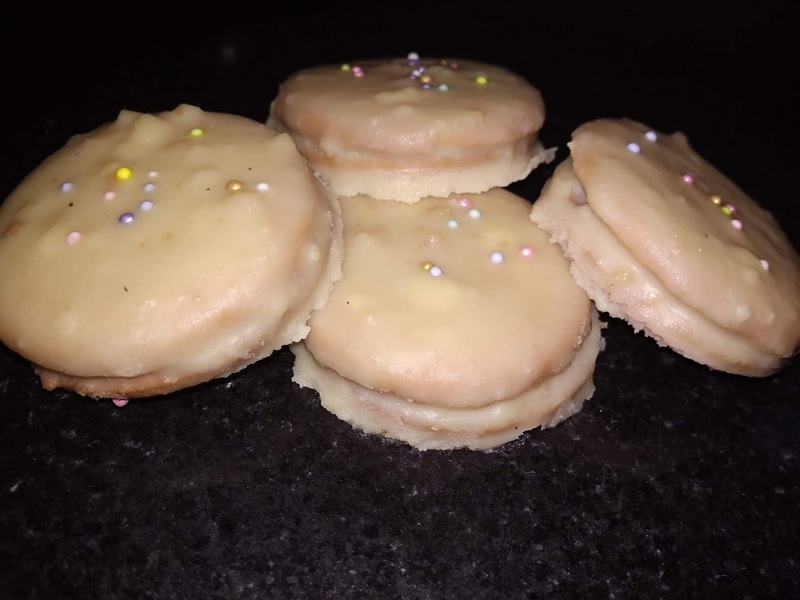 For repeat the same process with white chocolate.